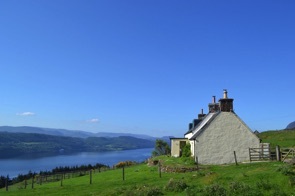 Luxury apartments and cottages on the beautiful Cowal peninsula in western Scotland. Apartments are sleek and modern, with superb views. 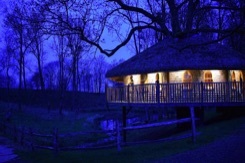 Eco-friendly spa, which uses renewable energy sources. Other policies and practices to reduce the resort's impact on the environment include heating from sustainable biomass and air source heat pumps, green roofs, and use of local food. Green Tourism Gold Award winner. Welcoming and atmospheric hotel alongside the award-winning, historic Famous Blacksmiths Shop. 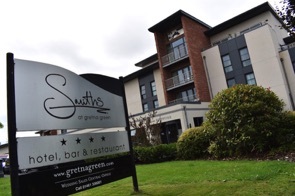 Spotless, stylish accommodation, in hotel rooms or luxury Bensmoor Suites. The latter are spacious self-catering cottages that are ideal for families. 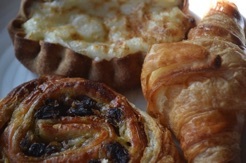 Breakfst is buffet style, with a good choice including a superb full Scottish breakfast. Green Tourism Silver Award winner. Beautiful converted coach house, with a grass-roofed extension with colourful spring and summer wildflowers. Lovely large living area, three pretty bedrooms and three bathrooms. A wind turbine produces electricity, and underfloor heating and hot water are provided via an air exchange heating system. 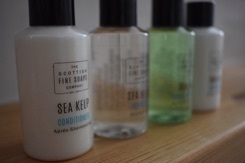 The property is managed with minimal use of chemicals and is particularly suitable for guests who suffer from allergies. Can sleep up to 14 with adjoining property. Stunning location overlooking Loch Ness. Cosy and tasteful interior, with modern kitchen and bathroom. Three comfortable bedrooms with quality bedding. 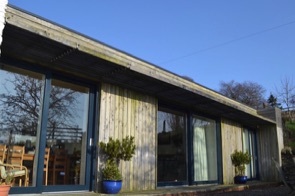 Electricity is powered by wind turbine, and recycling boxes in the kitchen for plastics, glass and cardboard make it easy for guests to minimise their waste. Welcome pack contains local food, including fresh free-range eggs. 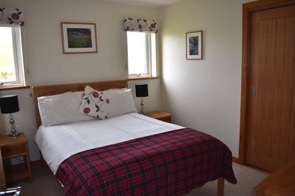 Comfortable, luxury cottages a short drive away from Skara Brae. Beautifully furnished and decorated. Unigar Cottages are run using eco-friendly practices to minimise environmental impact, and have been awarded a Green Tourism Gold Award. Trees are being planted around the grounds, and wilder areas are being left so that wildlife can thrive – and there are lots of opportunities for wildlife watching, with owls, hares and corncrakes in the area.